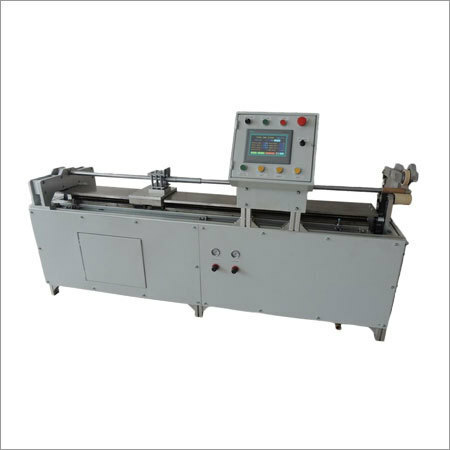 Auto Paper Core Cutter is an eminent product offered by our company at most reasonable rates. In order to undertake quality work of cutting or related cores at various paper related industries and factories, our products are largely acknowledged. We have recruited a team of expert designers, engineers and other professionals who render their expertize in providing our esteemed patronage with solutions which are easy-to-operate and require negligible maintenance. Owing to our state-of-the-art infrastructure and modern manufacturing facilities installed at it, we have become a renowned Auto Paper Core Cutter exporter, manufacturer and supplier. We are trusted for our ethical businesses and quality promise to deliver excellence in size, weight, operation, diameter, power and service life. It is for 1inch and 1/2inch paper core, the other size paper core can be cut.